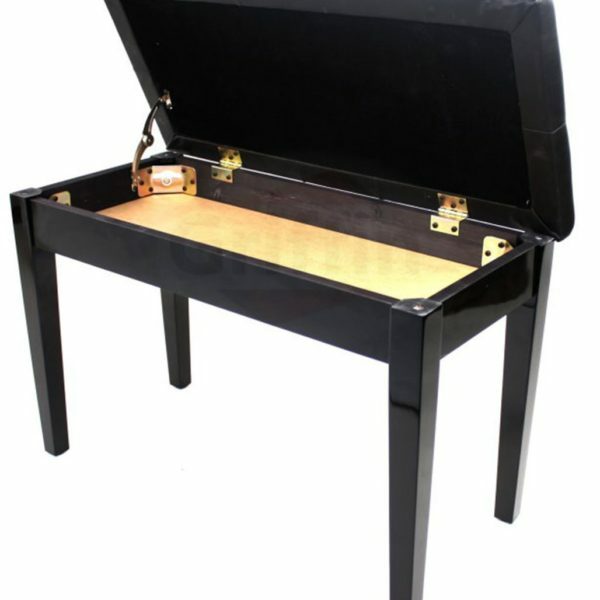 Finally, You Can Have A Sturdy, Elegant & Ultra-Comfortable Double Piano Leather Bench! Are you sick and tired of using uncomfortable and impractical piano chairs for your duet performances? Are you looking for a durable, chic and luxuriously soft synthetic leather double piano bench? Do you want your live performances or private tutoring sessions to be lavishly comfortable and convenient? 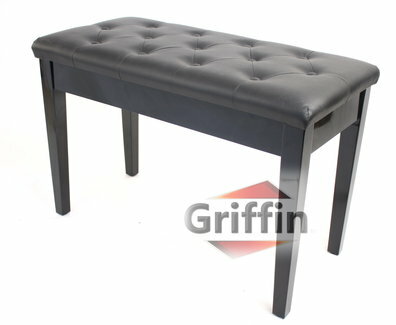 Presenting The Griffin Deluxe Vintage Double Leather Piano Bench! 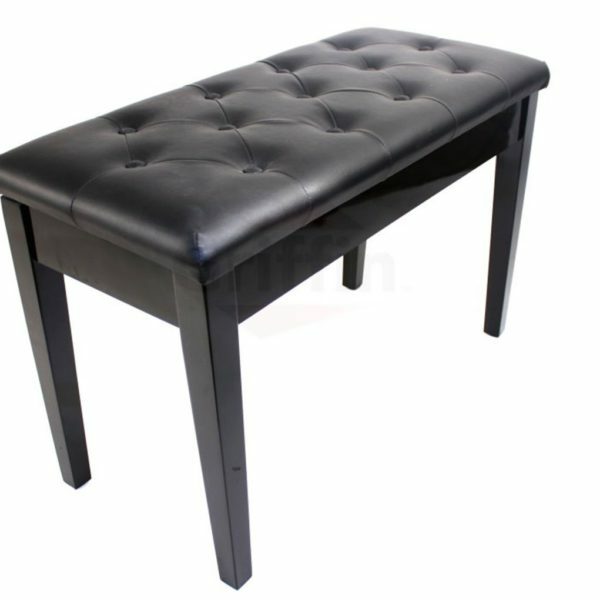 Designed by experts, our stunning retro-style double leather piano bench is going to offer you an unparalleled feeling of comfort and high-end luxury worthy of royalty! When Master Craftsmanship Meets Vintage Design! 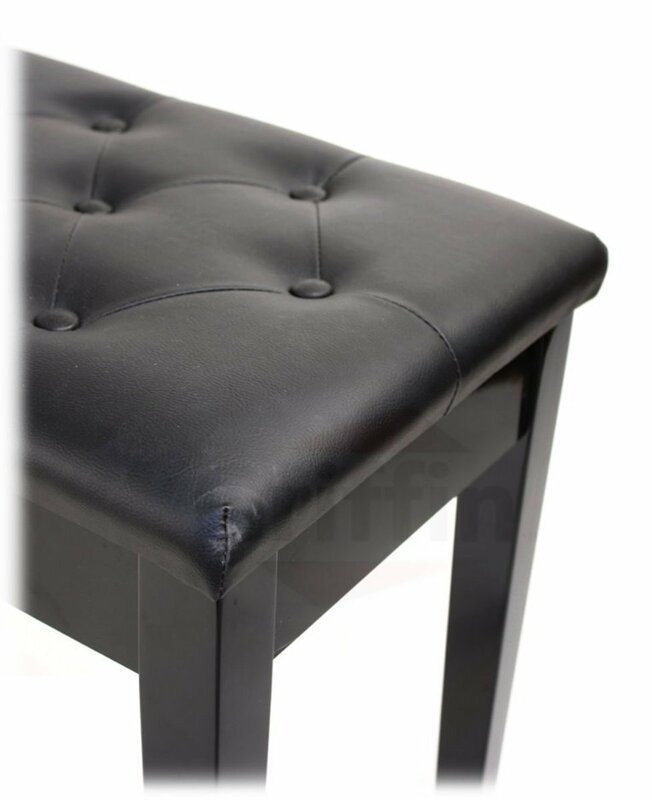 Our synthetic leather padded piano double bench has the ideal dimensions (L29 X W13 X H19) for any space and its weight capacity of 300lbs will ensure that 2 adults can be comfortably seated without any worries. 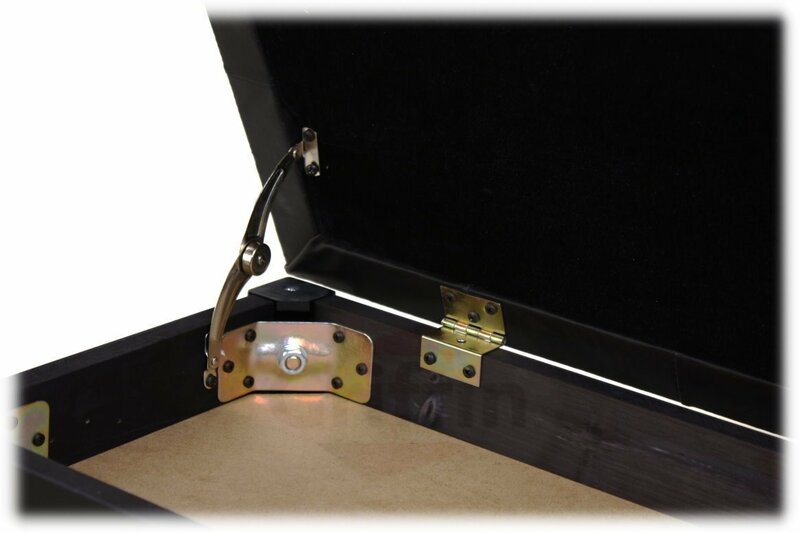 Plus, the solid wood frame and unique attention to detail will ensure that its not only chic, but also extremely heavy-duty! The Last Piano Bench Youll Ever Have To Buy! 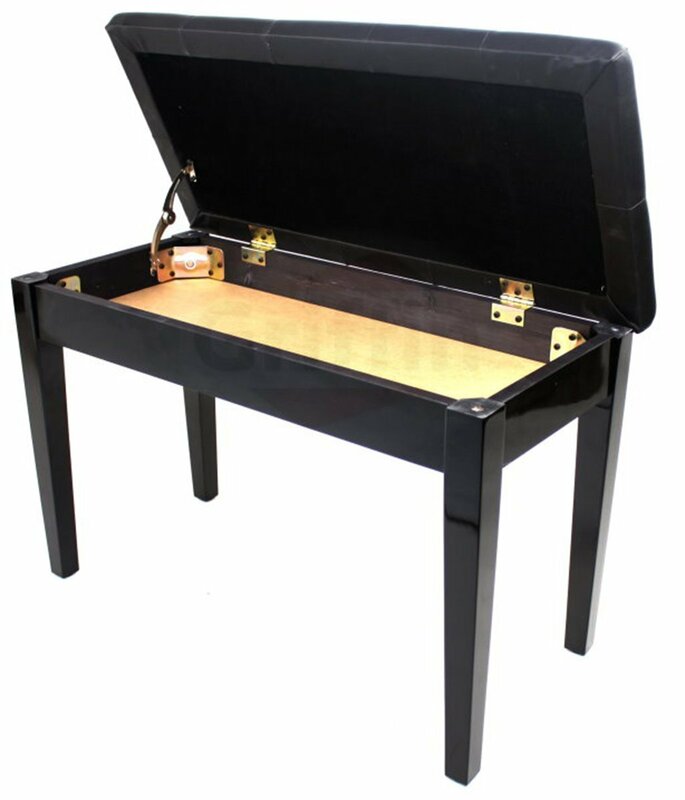 The Griffin elite black leather double piano bench also features a convenient hidden storage compartment, so you can easily store your music sheets, books or other accessories! 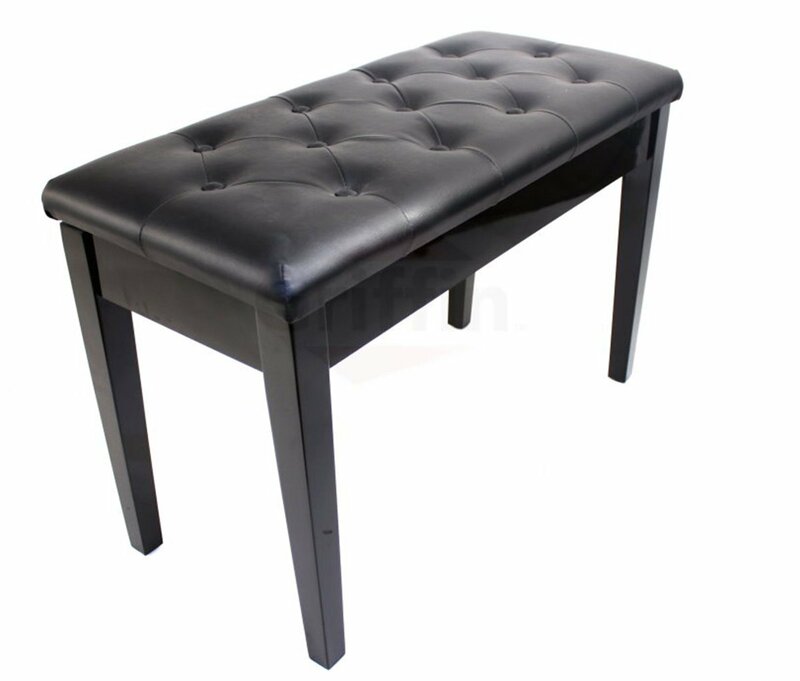 Whether you need it for home or professional use, our vintage padded leather keyboard bench is going to allow you to concentrate solely on your musical performance, due to its unmatched comfort and style. Thats why we confidently back our cushioned leather piano duet bench with a hassle-free 30-day money back guarantee and an exclusive 1-year full warranty! Why wait any longer? 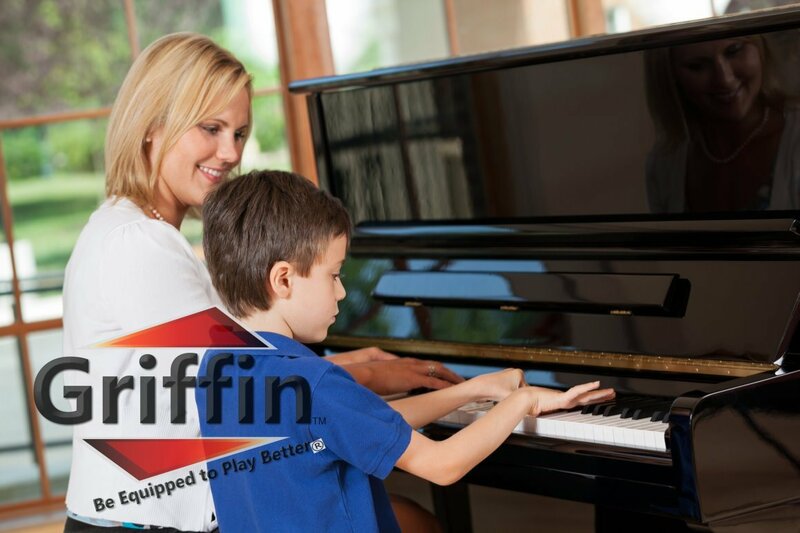 The Griffin double piano bench is your prime choice when it comes to durable and ergonomic piano seats. UNPARALLELED COMFORT YOU CAN FINALLY SHARE! – When it comes to performing, whether it’s on a big stage or in your room, comfort and convenience should be your top priorities.  Discover the unique, vintage and stylish Griffin double piano seat. The luxuriously soft and comfortable keyboard duet stool you can finally share! DESIGNED TO MAKE YOUR EVERY PIANO SESSION UNFORGETTABLE! 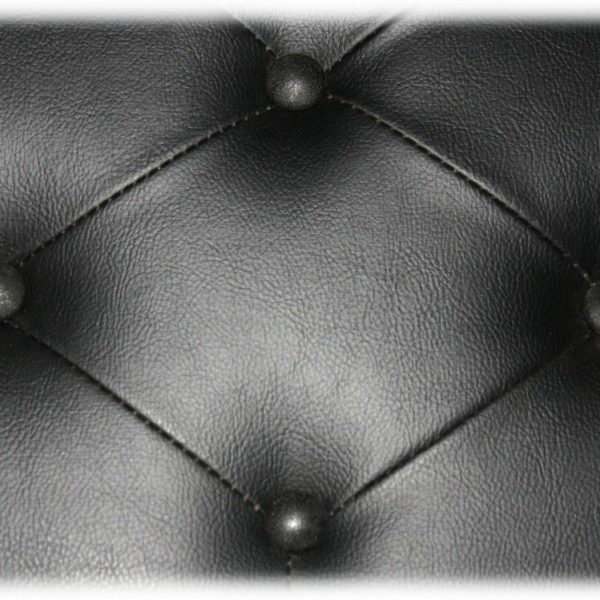 – Indulge yourself in the comfort and elegance of our premium double piano seat. 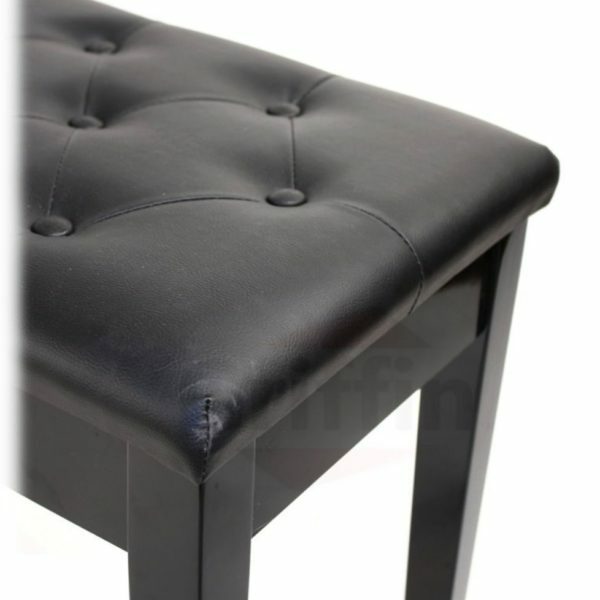 Made of superior-quality synthetic black leather, the Griffin duet keyboard stool is the epitome of style, convenience and comfort. 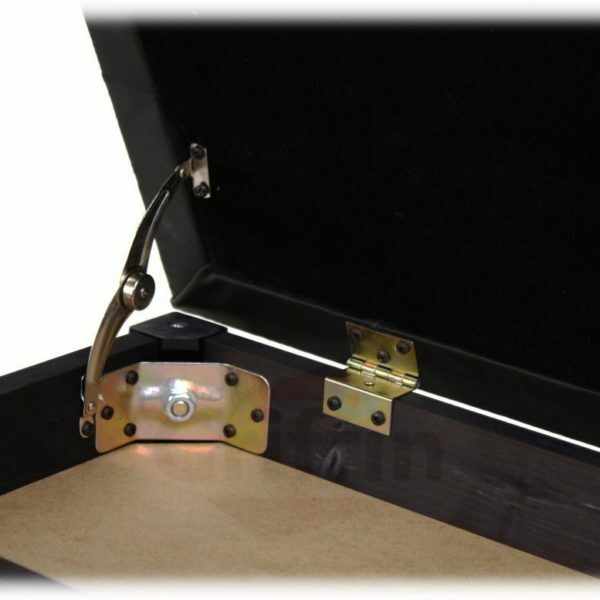 Plus, the solid wood construction will ensure its stability and offer you extreme support. DOUBLE SIZE, DOUBLE ELEGANCE! – Our exclusive double piano seat can easily accommodate 2 adults for electric duet performances or comfortable tutoring! Plus, the sturdy and durable Griffin double piano vintage leather chair features a convenient, hidden storage space, under the seat, which can hold your music sheets or books! And the best part? You don’t have to be an expert carpenter in order to assemble it, simply follow our comprehensive instructions and use our FREE wrench! IDEAL FOR BOTH HOME & PROFESSIONAL USE! 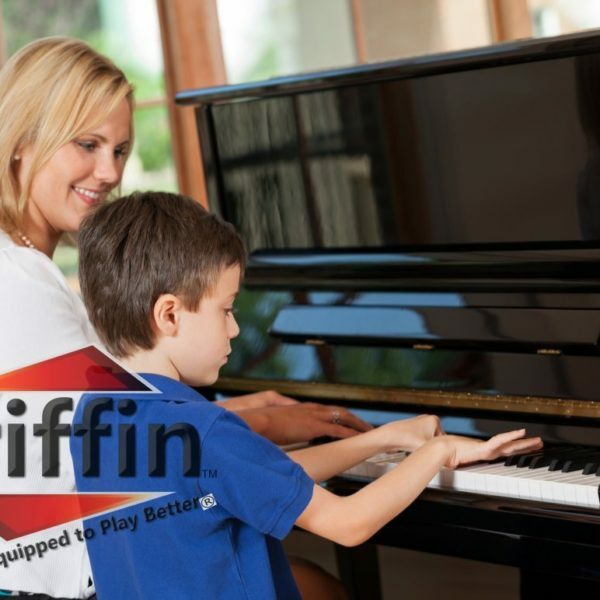 – Whether you are a piano teacher, a piano student, a professional producer, musician, DJ or performer, you can rest assured that the Griffin double leather piano bench is the ideal combination of comfort and durability. Perfect for schools, churches, piano-bars, orchestras, recording studios, music bands and concerts, our sturdy piano and keyboard seat is going to enhance your posture and help you both perform better. EXCLUSIVE 1-YEAR WARRANTY FOR YOUR PEACE OF MIND! 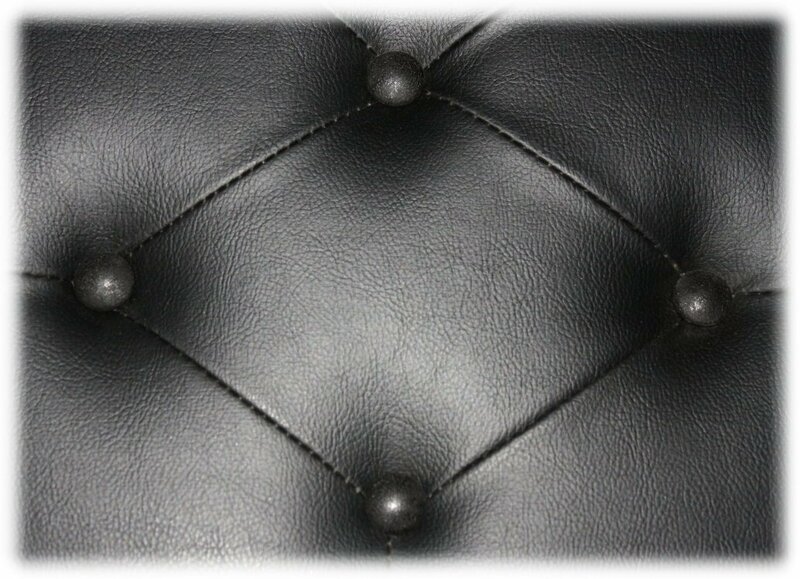 – Our cushioned piano duet leather seat comes with an exclusive, premium 1-year factory warranty!